Intrinsically safe multimeter for mining and chemical industries for safe testing up to 2000 V. Ex-protected insulation testers for testing surfaces and bleeder resistors. 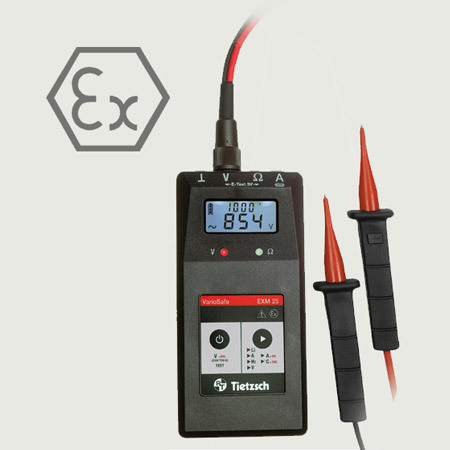 Ex-proof earthing tester for quick and easy testing of protective conductors and equipotential bonding conductors. 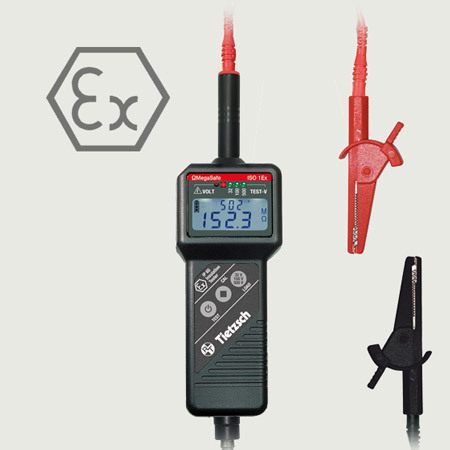 The VarioSafe EXM 25 is an intrinsically safe multimeter for mining and chemical industries. It can measure voltage, current, frequency and with accessories temperature and high current. Insulation tester up to 1000 V for quick and easy inspection of antistatic floors, surfaces and insulation resistance. Ex-proof version. 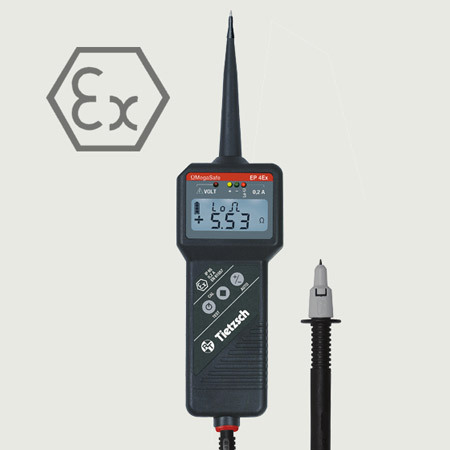 Low ohm measuring device for quick and easy testing of protective conductors and machine earthing. Ex-proof version.